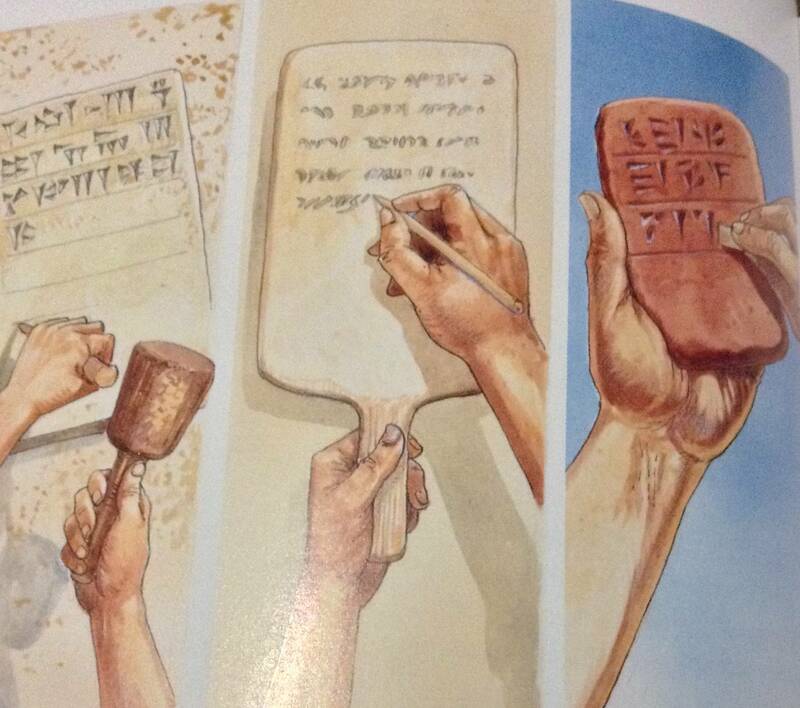 Left to right: five methods of writing in Bible times. 3.Gouging hieroglyphics into wet clay. 4.Writing with a brush on papyrus.